An estate vineyard in the McMinnville AVA of the Willamette Valley owned and farmed by the Wrigley family who bought 200 acres of vineyard land in 2006 and planted Pinot Noir, Riesling and Pinot Gris in October of 2008. The 6-acre vineyard has both sedimentary and volcanic soils. Initially, Pommard, 115 and 777 were planted on southeast-facing slopes in predominantly volcanic soil. Whites are planted at a higher elevation. The vineyard will be dry farmed once established. 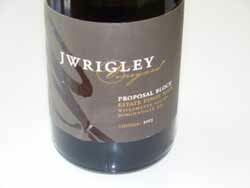 The J Wrigley label was launched with the 2010 vintage and the first estate wine arrived the following year. Production is about 500 cases. 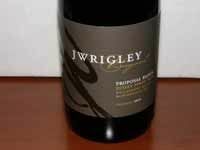 The wines are sold on the website and through a wine club. See website for upcoming events.